Maddy built a pyramidal bean frame last weekend and wants to find out what structures you build and how. Submit your ideas and win a subscription to Permaculture! We grow bamboo. The idea mainly is to eat it. It needs to be cut when it is about 60cm (2 ft) high. If you leave it longer it is too fibrous so you need to pick the shoots young, peel them and steam them. They are very sweet and delicious. Inevitably my bamboo gets away as it grows so fast so every year I harvest and dry the canes flat and then use them for garden supports. Last weekend I built a simple structure for runner beans with a friend of mine, Lindy. We decided to make it pyramid shape with 3 main bamboos and then smaller canes and garden twine. I have added a 2 litre (half a gallon) plastic bottle filled with water suspended about 60cm (2 ft) below the apex with twine to hold it down on windy days. The bottle needs to be suspended high up in the structure near the apex to send the force down the supporting poles to anchor them. If it swings too much in the wind I will secure it on 2 sides. We added a pirate flag at the top for fun. Here's a photograph. Gardening should always be fun in my view. Lindy and I had a great time. This set me wondering about you guys. Do you build outdoor structures large or small, simple and more complex? What materials do you use? Do you grow them themselves? It would be fun to share your creativity. Please send a short explanation with a photograph or 2 and a little about yourself and where your structure is located to rozie [at] permaculture [dot] co [dot] uk and we will post your ideas online. Your builds can be anything from plant supports to treehouses, outdoor kitchens, dens... anything that catches the imagination. Please share your ideas with this online community and get us all building! Let's make building something we all can do and not just for experts and professional. We will also save our favourites for Permaculture magazine and exchange a subscription for every one we publish. 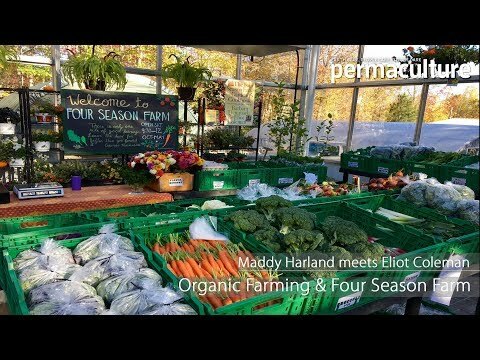 Maddy Harland is the co-founder and editor of Permaculture - practical solutions for self reliance established in 1992. You can read a free copy online by clicking HERE. You can subscribe to our digital issue for just £2.75 ($2.99) a quarter. A digital subscription also enables you to read and search our back issues but if you like the lovely paper edition please see SUBSCRIBE. Hi, I am intrigued by your edible bamboo story. Is all bamboo edible or just certain varieties. A handy and easy to read guide on pruning apple trees.